African Renaissance Theatre & Entertainment (A.R.T) is an arts initiative conceived by five young Nigerian artists and entrepreneurs whose love, respect, and undying passion for creative excellence evolved into the establishment of a new-age arts movement. First conceived in 2010, the concept of A.R.T was birthed in a small, just-on-the-side Calabar-kitchen restaurant in the town of Gwagwalada, Abuja. There, the seedling idea that young Africans could combine talent, skill and acumen into the creation of a bustling arts community and enterprise was first planted. Two years later, African Renaissance Theatre & Entertainment (A.R.T) was founded. A.R.T aspires to be a leading theatre company and arts/entertainment outfit, bringing our unique creativity to the expression of the African experience. Using the all embracing umbrella provided by the theatrical arts we aim to link the various arts/entertainment sectors, provide a core community for art lovers, and create an environment that is artistically and economically viable. To achieve this we understand and value the need of working with people and organizations who share the same vision! A.R.T envisions a future where the arts/entermaintent industry in its broadness is a key component of the African economy; promoting social and intellectual development; empowering productivity; and, of course, providing artistic nourishment for the soul. Our mission is the resurgence of live theatre on the African continent. We aspire to bring innovation and sustenance to artistic excellence as and for the next generation of African artists. A.R.T firmly believes in the creation of new art and the preservation/renewal of the olden. We are dedicated to the production of new and excting artistic works. Through our theatrical productions we aim to not only conserve African theatre and literature of the past but to re-visualize them for the present and future. A.R.T is unwavering in the development and support of new talent, working constantly with both the young and the experienced. This combination of the vigor and new-thinking of youth with the time-tested experience of age is vital for the progress of arts/entertainment industries. PROFESSIONALISM: there’s only one way we know how to do what we do – professionally! CREATIVITIY & INNOVATION: we don’t just think outside the box, we dissect the box into pieces then rebuild a multitude of thought-provoking containers to think outside of. EXCELLENCE: Why do it if it’s not going to be done to and above the best of your ability? No endeavour is too small to be worthy of wholehearted excellence. Limits? Sorry, we don’t believe in those! BOLDNESS: YES! We are not afraid to go where others fear to tred. Growth is made by those brave enough to travel paths others are too fearful to traverse. Progress comes from opening doors whose handles others are too skeptical to grasp. COMMUNITY: we don’t want to do this FOR Africa, we want to do this WITH Africa! 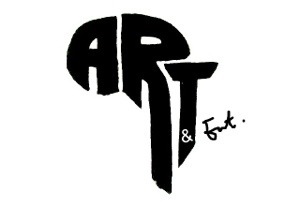 A.R.T aspires to provide a platform of exposure and interaction for the African artist at national and global levels. TOGETHER this can be done! LOVE: the arts is nothing if it is not done out of an abundance of love. Love for expression, for life and humanity, for discovery. African Renaissance Theatre & Entertainment is proud to spread wide its wings and welcome you as a part of a wonderful journey. We welcome you to be part of our online community. If you love the arts, if a passion for it burns in your heart, we welcome you to join on us this wonderous journey. Spread the word: the Renaissance is here!